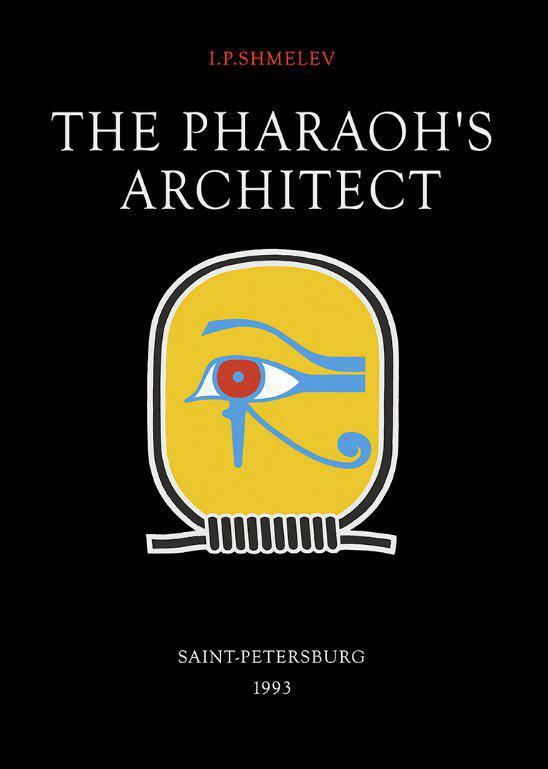 Let us refer to the lectures and to the book of Igor P. Shmelev "THE PHARAOH'S ARCHITECT" (1993 edition). Igor P. Shmelev is a professional architect and a prizewinner of International and State prizes of Russia. For deciphering of a unique ancient Egyptian secret writing encoded in the panels of the Tomb of Hesi-Ra the author was awarded a degree. The key to understanding the laws that formed the basis for the construction of the pyramids is provided by the legendary tablets. Legendary because there is a tradition that the Ancient Egyptians expounded all their knowledge on tablets. At the beginning of the century Quibell's expedition to Saqqara discovered the tomb of an Ancient Egyptian architect from which they extracted a set of wooden boards covered in carving. Judging by the number of niches in which the panels stood, there were originally eleven of them. The order in which the panels were placed in the tomb of Hesi-Ra follows what is known as the Lucas sequence. They are the figures obtained from adding and subtracting the ordinal numbers that form the Golden Section sequence. The images presented on the panels follow the same pulsating rhythm or, as the Ancient Egyptians themselves said, the KA-BA rhythm. In the Ancient Egyptian conceptual system, BA refers to the real, physical object or person; KA is what makes up our energy shell. And from the state of the KA it is possible to determine precisely the psychological and physical condition of the person, which organs are damaged, and so on. In short, it is a particular energetic-informational structure in which everything is reflected. The panels in question have proved to be something unique. Several layers of information can be traced on them, providing the key to recognition of the fact that the Ancient Egyptians knew all about the Golden Section long before Pythagoras. Today we know from measurements that have been taken that the principle of the Golden Section was used in the construction of all the great pyramids. Why they used he principle of the Golden Section? And then today we find out that the whole musical scale, the whole sonic temperament, is subordinated to the same law of the Golden Section. The wands held in the left hand of the priest who is depicted on the first main panel are shown in a ratio connected with the frequency of A. The standard value accepted for the pitch of A today is 440 Hz, but 441 Hz is more precise. It is astonishing that no-one particularly noticed that if you place the figures 441 after a decimal point, i.e. 0.441, what you get is a function of the Golden Section. Knowing all that, we arrive at an interesting revelation. Not only do these panels explain the principle of using the Golden Section, they also present tools that are elementarily simple, yet work like a computer. Our arms themselves are already tools of the same kind as the "magic wand" depicted on the tablets. It turns out that this tool makes it possible to calculate any value of the Golden Section directly as a length, without using any complicated mathematical formulae, just manipulating the "magic wand", adding on and taking away. You get the feeling that human beings were created to some kind of standard. It would be more correct, however, to say that human beings could not have formed differently for the simple reason that they appeared in an environment that imposes those parameters, and the values of the Golden Section bear a direct relation to what we call "harmonic resonance". Anything related to resonant phenomena must in the most general terms be connected with the functions of the Golden Section. Because nature works in the simplest, most economical, most effective, most colorful and most diverse manner - using the "Golden Section". Today it is possible to say with complete certainty than the knowledge encoded on the Hesi-Ra panels formed the basis for the construction of the pyramids. It represents the missing link that was needed in order to be able to state that the pyramids were built on the level of exact science. ОIt is very important that the ration between the dimensions of the two rods in the priest's left hand is such that their product is 0.441, or the frequency of A. The calculation is quite simple. The two rods (in left hand) are in the proportion (measure) 0.5 and 0.882. Multiplying those two values, 0.5 x 0.882 = 0.441. This panel shows a table with what Egyptologists tell us are sacrificial loaves on it. We have here a priest of Horus. In the "Sacred Triangle" Horus was characterized by the hypotenuse, the harmonious element. To be a priest of Horus meant to be the Guardian of the Knowledge of Harmony. And harmony is the thing that embraces absolutely all spheres of activity and knowledge. 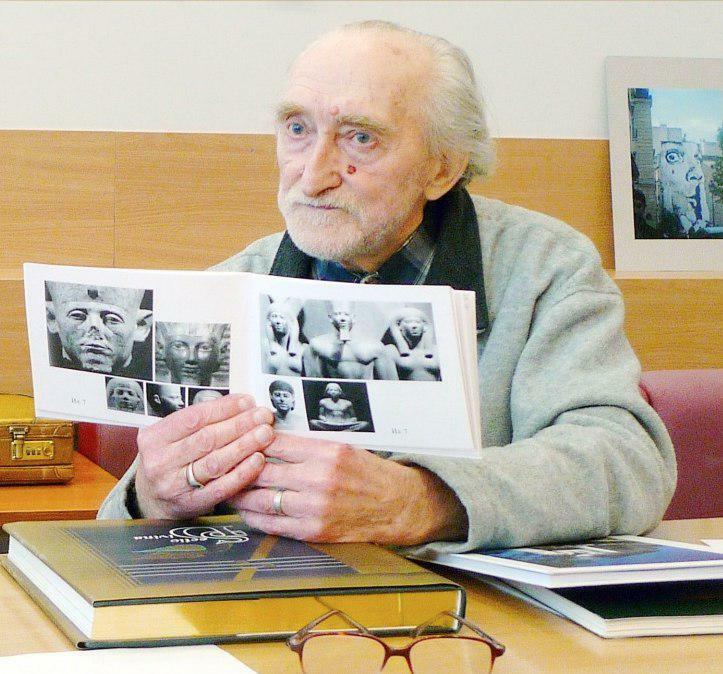 This priest (who was also an architect) was the number one person in the Ancient Egyptian civilization, so important that information about him was not distributed anywhere. He was a man of mystery. Hesi-Ra means "Marked Out by the Sun". It would seem that what is on the table is not sacrificial loaves but some sort of tuning device set to the pitch of A. Confirmation of this is the fact that the distance between the table-top on which the device stands and the floor is precisely 0.441 of the corresponding standard length. The device stands on a base, and that base is equal to 441. It follows that, if measuring rods are harmonized with a tuning device set to the pitch of A, then to measure with those rods means to give the space in question resonant qualities in tune with the musical scale. In other words, to introduce a system of linear-spatial parameters into a system of sonic harmony. It means working in the same key as natural phenomena through the principle of harmonic resonance, that is through the mechanisms that lie at the foundation of the universe. The Rods, which were used by priests and pharaohs, and the Pyramids itself were created according to the proportions of "The Golden Section". And it was this way of creation that ensured the intertuning of objects one to another. It is necessary to stress, that the whole physical and energetic structures of a human body obey the law of "The Golden Section"